The time has finally come, and your child is going to finally embark on their journey of life. With the event of graduation for your child, Party Bus Toronto VIP is here to make sure that the event is memorable and special as possible. This special event marks the end of a very long journey for your child and should be recognized and accepted with excitement and delight. What better way to bench mark this event, than to send them to their special prom in an elegant and stylish Party Bus ? With this great event, here is some of the great features that you can look forward with the use of our Party Bus & Bus limos. We make Smiles and Memories! With your child graduating, this is the best way possible to show that you care and love them for all of their hard efforts of school. Party Bus Toronto VIP gives you not only the best in Party Bus services, but the best in customer service. We only want the best for you and your child on their big night. We are in the business of creating memories, and smiles. Call or click today and get your quote on the big graduation party that awaits our loved one! Our staff is fully trained to make all the details of this event everlasting and memorable. With this big being a fun filled event for your child, we are here to make sure that the event is lasting with smiles and fun. Our drivers are fully aware that there are children in the Party Bus. They make sure that the safety is of the utmost importance. They are trained drivers that do not take risk while on the road, and also make sure that the overall safety of your child is the number one priority. This gives you the ease and satisfaction knowing that your child is in good hands. Our Party Buses are well equipped with the latest of today’s technology. These amenities include many functions, containing such provisions as flat screen televisions, internet, and a telephone all ready to use. Along with these great features, each Party Bus contains surround sound speakers and a lighting system that adds to the enjoyment. With these great features the limos are well equipped to appease everyone that is riding. 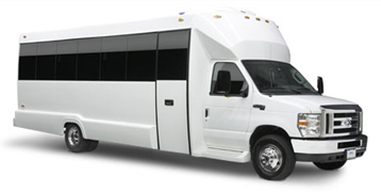 We only offer the best of these services so that everyone can truly enjoy their time with us in our Limo Buses. With our Party Buses, you will be the envy of the party. Show up in style and show off your Party Bus to all of your family and friends. Why not you earned it! Our Sleek Party Buses are all top of the line have only the best in limo features and technology. This only assures that you are riding in the best and being drove around by the best in professional drivers.